Screen Queensland (SQ) has announced its support of the second series of The Family Law. Premier and Arts Minister Annastacia Palaszczuk said The Family Law, created by acclaimed writer Benjamin Law and based on his experience growing up in Queensland, will begin filming in October to air on SBS in 2017. ‘The Family Law will create 70 jobs for Queenslanders and spend approximately $1.9 million in the state including post production,” Ms Palaszczuk said. ‘The first season of The Family Law, adapted from Law’s hit memoir of the same name, enjoyed great success in 2016 reaching a total of 1.8 million unique viewers across SBS and repeats on SBS 2 with an average national audience of 417,000 across the series. ‘This is the latest in Queensland’s screen success story as the state continues to attract local, national and international productions, generating jobs and boosting the economy,’ Premier Palaszczuk said. ‘We are thrilled to be supporting the second series of The Family Law, a highly entertaining and culturally significant TV series that celebrates untypical characters in primetime viewing and embraces diversity and suburban family life in Queensland. ‘Matchbox Pictures is a prolific creator of broadcast content and provides Queensland practitioners the employment and up-skilling opportunities to work on projects that receive local and international success. The Family Law is a six-part half hour series created by critically acclaimed writer Benjamin Law and based on his memoir of the same name about his experience growing up in Queensland. It is being developed and produced by Matchbox Pictures (The Slap, Deadline Gallipoli, Maximum Choppage) and supported by SQ in association with Screen Australia and SBS. SQ CEO Tracey Vieira said ‘We are thrilled to be working with Matchbox Pictures again for the second series of The Family Law which along with being highly entertaining, carries significant cultural importance as it captures our unique and distinctly Australian voice on screen. ‘With 43% of Australians having at least one parent born overseas, its important that our stories on screen reflect our diversity as a nation. The Family Law does that perfectly through a mix of humour, heart and self-deprecation in a truly Australian style. The Family Law is a coming-of-age story told through the eyes of teenager Benjamin as he navigates growing up amidst the chaos of his dysfunctional family. Set on Queensland’s Sunshine Coast, it gives a vivid glimpse into the world of Benjamin’s hilarious and heart-warming Chinese-Australian family. The Family Law season two is written by Benjamin Law, Kirsty Fisher and Lawrence Leung and directed by Ben Chessell alongside Sophie Miller. 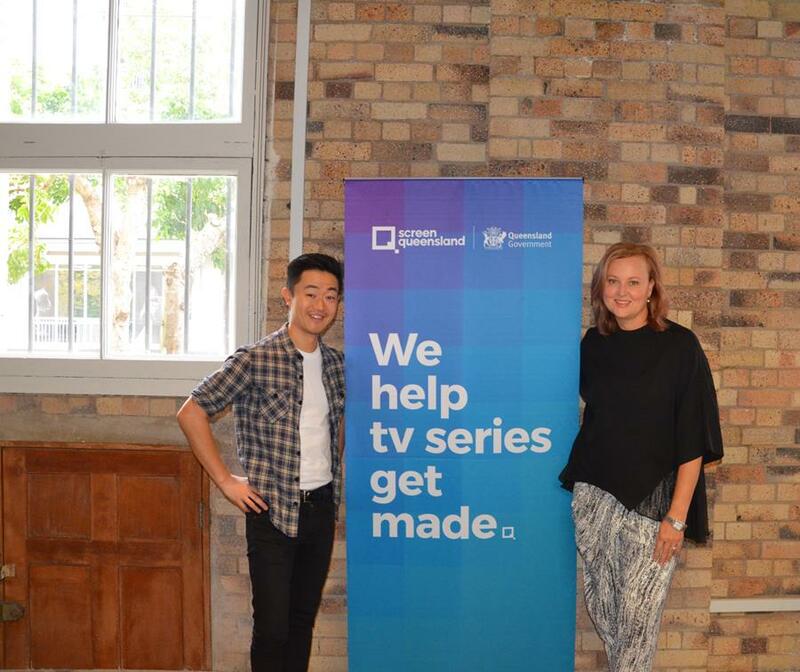 The series is executive produced by SBS’s Sue Masters, and Matchbox Pictures’ Tony Ayres and Debbie Lee, produced by Julie Eckersley and Sophie Miller, and co-produced by Andy Walker.